Many tourists are interested in buying gemstones in India, as they're available for much less than in western countries. However, doing so requires great care unless you have extensive professional knowledge. Shopkeepers readily misrepresent the quality and authenticity of gemstones, especially to foreigners. It's easy to get swindled, or buy fakes! Unfortunately, India is known for its infamous gem scams, and even those who aren't looking to buy gemstones get fooled into purchasing them to make money. The information in this guide will help you avoid the pitfalls. 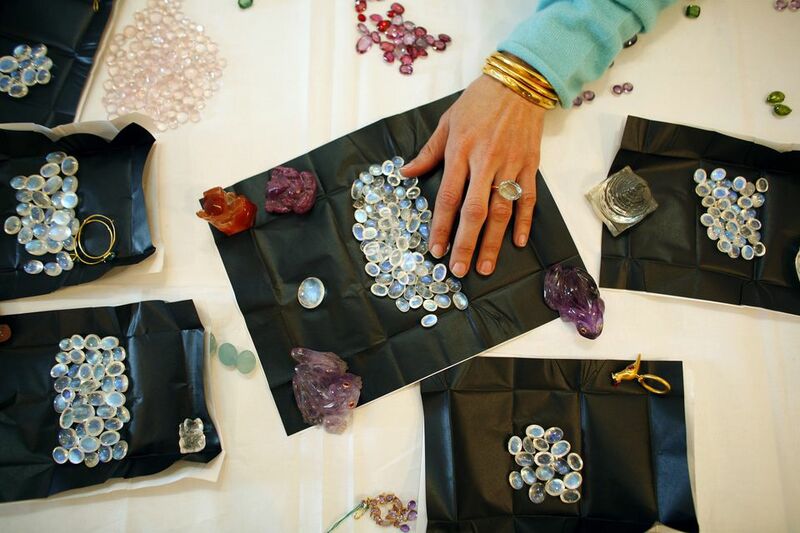 First things first, it's imperative to learn the basics about gemstones -- if you don't already know! Keep in mind the four Cs: Color, clarity, cut, and carat. The International Gem Society is a good place to start, with both free and paid (membership) content including an online gemology course. The highest quality gemstones have the purest colors, deep tones (not too light or dark), and saturation. In terms of clarity, it's hard to find flawless gemstones without any imperfections, which are created during their formation. Those with small to moderate inclusions represent the best value for money. A good cut will maximize the gemstone's color and minimize its inclusions, as well as ​being symmetrical and in proportion. You'll find that gemstones with greater color saturation usually need a shallower than average cut. It's also important to keep in mind that even though two gemstones may be the same carat weight, they may in fact not be the same size. This is because different gemstones have different densities. For example, the density of a ruby is higher than a diamond. This means that a 1-carat ruby will look smaller than a 1-carat diamond. Another factor to take into consideration when determining the value of a gemstone is its rarity. Some (such as diamonds, emeralds, and rubies) are much rarer than others. There are two deceptive practices that are commonly used in the market for cut gemstones: Treatments and enhancements to the gems, and the substitution of synthetic or glass gems for naturally-mined ones. Nearly all gemstones are routinely treated to enhance their color. Depending on the stone, this is usually carried out by heating, bleaching, or irradiation. Most aquamarine, amethyst, sapphire, ruby, and citrine gemstones have been heated. Emeralds are also routinely treated with oil and dye to hide their flaws. If you're buying rubies, it's particularly important to beware of those that have had their clarity enhanced by lead-glass filling. It makes them appear up to 100 times more than what they're worth, and these kinds of rubies are everywhere! Be sure to look at any rubies under magnification to detect such treatment. However, what's more, important to note is that the majority of cut gemstones are actually synthetic but sold as natural. Synthetic gemstones aren't fake. They're grown by scientists in a lab and, interestingly, have exactly the same properties as natural gemstones. There's no chemical difference. So, how can you tell them apart? The synthetic ones look too perfect! They're actually of a higher quality than natural gemstones because they don't contain the impurities and inclusions of those grown within the earth. Of course, they not as rare or costly. Unscrupulous shopkeepers will easily be able to tell your level of experience with gemstones within minutes and use it to their advantage. While there are private laboratories that provide certification of gemstones in India, not all certifications are legitimate, and there's currently no government-regulated hallmarking process similar to the hallmarking of gold in India. The government has announced its intention to set one up though. That eye-catching gemstone may look stunning, but is it actually real? Fake gemstones (not synthetic ones but outright fakes) are plentiful in India, particularly fake yellow sapphires, emeralds, and rubies. The mineral sillimanite is commonly dyed and passed off as these stones. To determine if this is the case, look under magnification to see if the stone has a fibrous-like appearance, unusual opacity, and color concentrations. Passing off glass as gemstones is an age-old practice. A glass gemstone will often have tiny air bubbles inside it or scratches on it. In addition, when glass stones are held up to the light, they'll resemble a bulb. Light doesn't go through them in the same way as natural stones, whereby the stone's interior state can be seen. If you have doubts, put the stone in your mouth! If it's glass, it will feel warm quite quickly. Do check out how the color of the stone looks in a variety of lights, including daylight. If you're tempted to buy emeralds, think twice, as these are the most dishonestly sold gemstones in the world. Unless you're an expert with the proper tools, it can be impossible to tell which ones are authentic! In India, unlike western countries, gemstones are usually bought for their astrological value and healing properties rather than their beauty. If this is the case, quality will be the highest concern. For example, heat treatment is said to destroy the powerful qualities of blue sapphires, making them bring back luck and misfortune. Therefore, the intended use of the gemstones will have great bearing on what type of stones are suitable. Here are some questions to ask. Is the stone synthetic or naturally formed? Has the stone been treated? Is the color natural? Is it evenly distributed? What's the stone's clarity? Are there noticeable inclusions? Jaipur, in Rajasthan, is the hub for gemstone polishing in India. If you feel confident in your ability to buy gemstones and want to take a chance, head to Gopal Ji Ka Rasta, the famous gem street in Johari Bazaar in the Old City. Merchants are notorious for selling colored glass as gems there though. Otherwise, try Birla Enterprises/Om Birla Shree at 44 Narsingh Temple, Gangori Bazaar. Chameliwala Market on M.I. Road is another well-known place for gemstones in Jaipur. For something special, most tourists feel more comfortable shopping at the Gem Palace on M.I. Road. It's among the most reputable places to shop for jewelry in Jaipur and has been in existence for eight generations. For added assurance, get in touch with the Jewellers Association of Jaipur. They also hold a noteworthy annual jewelry and gemstone show. Elsewhere in India, Surat in Gujarat is a diamond manufacturing hub. There are many diamond and gemstone traders in Mumbai's Zaveri Bazaar. In Delhi, Bank Street in Karol Bagh is the place to go.